Made of selected balsa wood and used for final finishing. All measure 6" long. Rectangular – one end beveled. 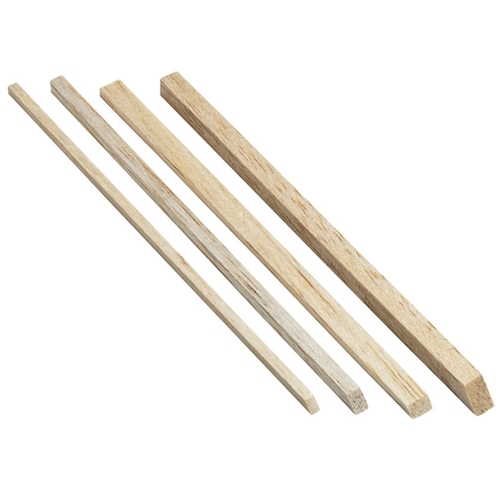 Balsa wood is a natural product, therefore stiffness and other characteristics will vary. Four sizes: 1/8" x 1/8", 3/16" x 3/16", 1/8" x 1/4", and 1/4" x 1/4".